Healing Justice Podcast is a virtual practice space, bridging conversations at the intersections of collective healing & social change. Hosted by organizer and healing practitioner Kate Werning, each week we share a conversation with a powerful social justice leader, and an accompanying audio practice to help resource you in your leadership and the wellbeing of you and your people. 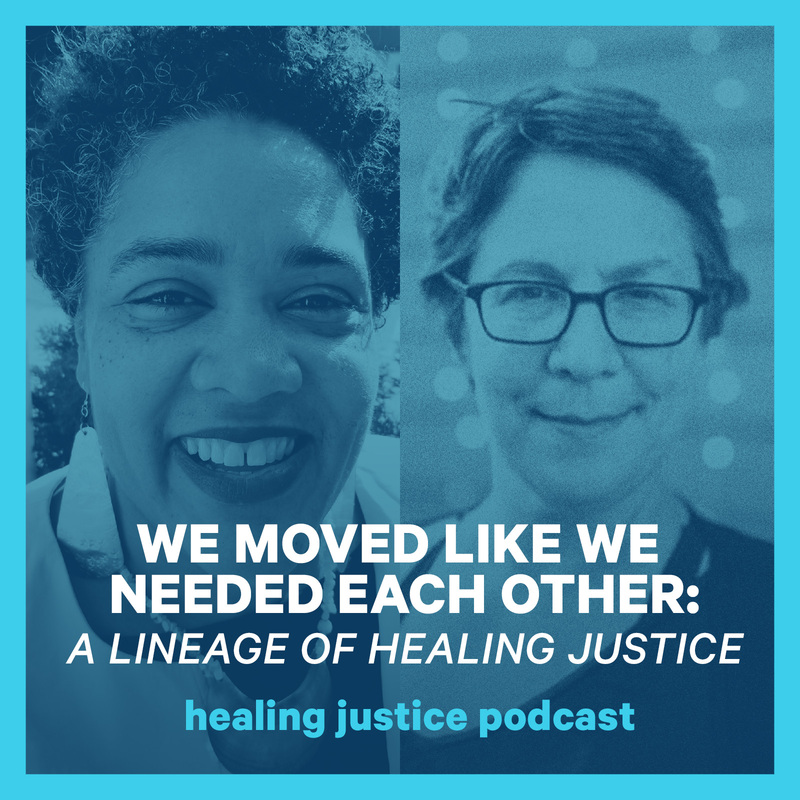 In this episode, healing justice leaders Cara Page and Susan Raffo join host Kate Werning for a conversation about the origins of the contemporary framework of healing justice, stories and learnings from early collaborations in the South and at the Atlanta and Detroit US Social Forums, how nothing is just an issue - everything we care about deeply ties to our embodiment, the importance of safety, and the fine lines between ownership, appropriation, co-optation, and trust. CARA PAGE is the Director of Programs at the Astraea Lesbian Foundation for Justice, and most recently was the Executive Director of the Audre Lorde Project. Over the past three decades, she has worked within movements for queer & trans liberation, reproductive justice, healing justice, and racial and economic justice. She is co-founder and former Coordinator of the Kindred Southern Healing Justice Collective and former National Director of the Committee on Women, Population & the Environment. For her outstanding achievements in community organizing around the arts and social justice, Page has received awards and fellowships from the National Center for Human Rights & Education and The Rockefeller Foundation. As an Activist-in-Residence at the Barnard Center for Research on Women, Page will deepen her study on historical and contemporary eugenic practices and medical experimentation to shape a public discourse on the historical and contemporary role of eugenic violence as an extension of state control and surveillance on Black & immigrant communities; Lesbian, Gay, Bisexual, Two Spirit, Transgender, and Gender Nonconforming people; people with disabilities; and Women of Color. Through creating political writings, cultural performance and communal forums on these issues she will gather a cohort of healers/health practitioners, cultural workers, organizers, scientists and service providers to transform institutional eugenic practices; and memorialize sites of eugenic practice to bear witness to these atrocities and begin to organize and heal.